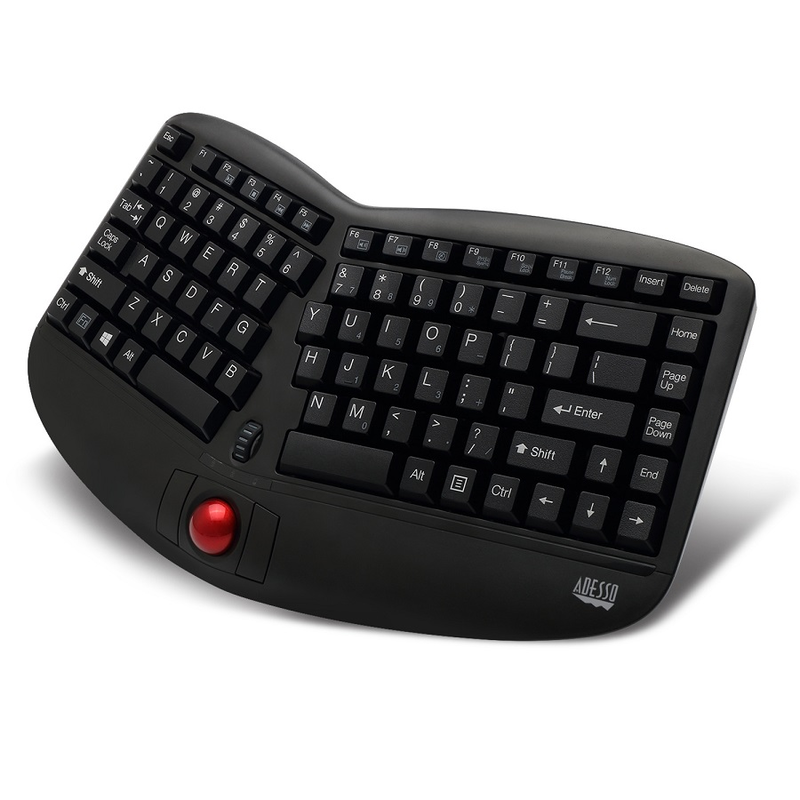 Adesso® Tru-Form Media 3150 - Wireless Ergo Mini Trackball Keyboard offers users a keyboard with an ergonomic design, built-in trackball for easy and comfortable browsing, multifuctional features and a wireless range of up to 30 feet. The WKB-3150UB is designed with the split key zones and sloped shape to make typing feel natural and effortless. The WKB-3150UB puts your hands, wrists, and forearms in their natural positions for maximum comfort and long use periods. The built in trackball not only enhances your web browsing experience by enhancing navigating precision, but also can be removed for occasional maintenance and cleaning. The trackball is just a fingertip away, eliminating the need to reach for your mouse or to move your hands away from their natural positions. The built-in Multimedia Hotkeys bring quick and easy access to your Multimedia tools. The mini-size of the keyboard adds portability and is clutter-free. We can "comfortably" say the Adesso WKB-3150UB will add some comfort to your typing and navigating experience! 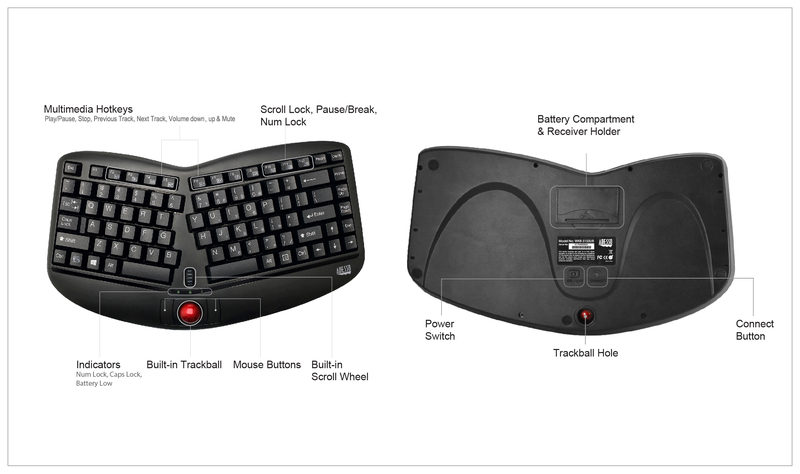 This trackball keyboard works at any angle, wire-free, with a range of up to 30 ft. 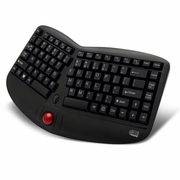 This keyboard features an integrated trackball, scroll wheel, and left/right mouse buttons, giving you full cursor control while eliminating the need of a mouse. The optical trackball offers 1,000 DPI resolution, providing superior accuracy and smooth motion with minimal hand movement. The built-in trackball not only makes for enhanced web browsing and precise navigation, but if necessary, it can also be removed by pushing the trackball outward from the back of the keyboard for easy cleaning and occasional maintenance.